Author photo by the poet’s daughter, Hannah Tarkinson. Just take an extra moment to meditate upon this poem — “The Wind and the Clock” — because it is marvelous. It’s built on a clash of opposites, a semantic and syntactic confrontation between, yes, wind and clocks, between the wild, scattering forces of nature and the will to control, to order and number, of the domain of clocks (and civilization and man — it’s a romantic poem). But the conflict comes in a series of inflections, beginning with the wind (oh, that wonderful verb “dresses” in the first line — that almost makes the poem all on its own) and backing and forthing with the clock, until, awful to say, the clock wins. And here Sholl magnificently escapes the convention of the poetic confrontation, escapes mere romantic whimsy, and launches the poem into something more sustained and epic. Her amazing final stanza leaves you just hollowed out, haunted by the spectre of death, the final winner of the argument (although the wind is back in the last line — those “little eddies”). Oh, the wind, stirring its little eddies. hang sheets for loose billowing walls. and the wings of a violin. though we don’t know what. numbers, the world’s need for balance and weight. to a dizzy blur, my numbers scattered? and a thousand years were one and the same? in long rippling waves, falls limp. on the rim of a glass, talking as if the sky admired us. which I saw could any minute collapse. where we once stood: air, dust-flecked light. secrets the earth holds and will not release. and so, shouldn’t we ask, for whom? to hang, to elaborate on a midsummer night. and why not? Why should it be easy to speak? into the world’s mine, all mission, no pleasure. when they gazed into wind-blown bristling trees. our stammering tongues fall away. 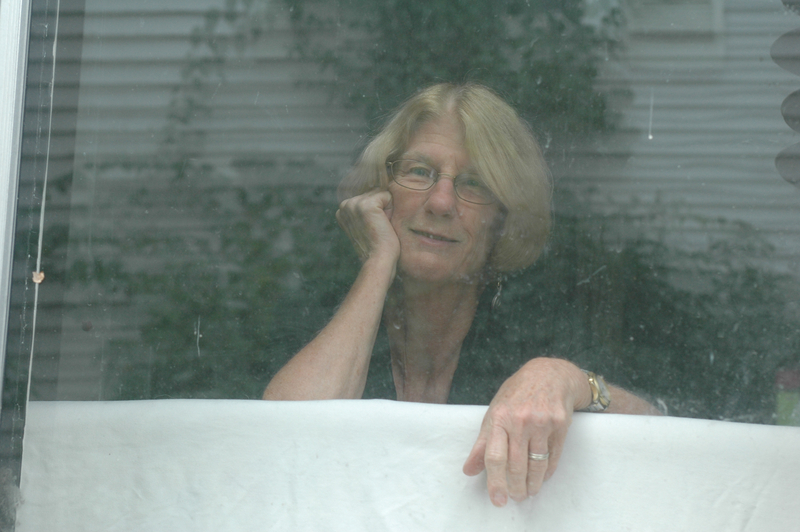 Betsy Sholl served as Poet Laureate of Maine from 2006 to 2011. She is the author of seven books of poetry, most recently Rough Cradle (Alice James Books), Late Psalm, Don’t Explain, and The Red Line. A new book is forthcoming from the University of Wisconsin Press. Her awards include the AWP Prize for Poetry, the Felix Pollak Prize, a National Endowment for the Arts Fellowship, and two Maine Individual Artists Grants. Recent poems have appeared in Ploughshares, Image, Field, Brilliant Corners, Best American Poetry, 2009, Best Spiritual Writing, 2012. She teaches at the University of Southern Maine and in the MFA Program of Vermont College of Fine Arts. Love these new Betsy Sholl poems! And thrilled to hear she has a new book coming out soon.